When you have found a home you are interested in buying, Lance Engstrom your RE/MAX Sales Associate will walk you through the process of drafting an offer to purchase. I will communicate the offer to the seller or the seller's real estate agent for you. Some properties are in demand and you will not be the only interested party making an offer. I will assist you in generating an offer that is reasonable and protects your interests using specified terms and conditions. There are many components of an offer that you should be aware of and understand. 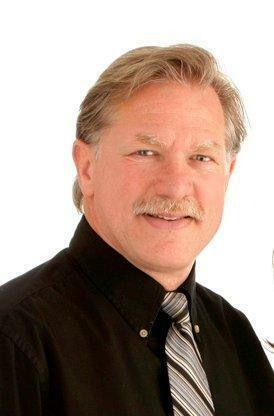 Lance Engstrom, your RE/MAX Sales Associate will answer your questions and explain the entire process to you so that you are comfortable with the steps involved. A deposit is provided from the buyer to the seller as a token of the buyer's assurance and intention to buy the property involved. The deposit is applied against the purchase price of the home once the sale has closed. Lance Engstrom your RE/MAX Sales Associate can assist you in proposing a certain and appropriate amount for the deposit. If you don't have a lawyer or notary public, you can look for a referral from friends, family or business acquaintances. Look for someone with real estate experience and discuss their fee scales. Lance Engstrom your RE/MAX Sales Associate can help you locate a reliable professional, whom you feel comfortable working with. The difference between legal fees and disbursements is analogous to the parts and labour you pay when fixing your car. Lance Engstrom your RE/MAX Sales Associate can help you locate a reliable professional, whom you feel comfortable working with. Home inspectors are often referred by family or friends. Lance Engstrom your RE/MAX agent can also provide you with a list of inspectors. Look for one that is trained and certified by a national organization such as Canadian Association of Home Inspectors (CAHI) or National Institute of Building Inspectors (NIBI) and who has errors and omissions insurance. Do not hire someone who will do any suggested work due to the conflict of interest. Size and location of the home, features, age, and services required. Additional services may include radon, septic and well testing. Lance Engstrom your RE/MAX agent can assist you in obtaining a quote from a potential inspector before you enlist his/her services. As your RE/MAX real estate professional I can recommend lenders to check with prior to beginning any serious house hunting so you will know exactly what you can afford.